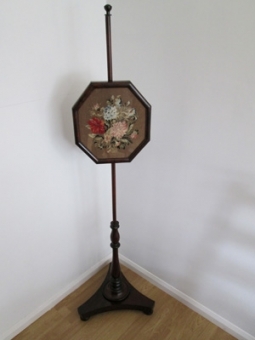 A Victorian pole screen c1880. Immaculate needlepoint face screen with newly replaced ivory-white silk pleating at the rear. Splendid original polish. Dimensions – height 160 cms, width 46 cms.